When it comes to the fitness industry, everyone wants to be a superstar. This probably stems from our idealization of professional athletes. We are constantly trying to find a way to capture a piece of that dream we had as children, even if on a much smaller scale. So, whether it be out of this world body fat levels, or incredible feats of strength, everyone wants to be known for something. That’s why the internet is flooded with pictures and videos that show off some of the hard work people are putting in at the gym. But, what many do not understand is that getting to elite levels of conditioning in any endeavor will come at a cost. This is something that isn’t talked about often in our world but is worth bringing up. The fact of the matter is, you don’t get to be Mr. Olympia or the World’s Strongest Man without making a few sacrifices in life, and we’re not just talking about having to skip a few outings with friends because of your diet. Becoming elite in the world of fitness is most likely going to take a huge toll on your body and mind in ways that could leave a permanent mark. It should be a no brainer that physique sports take a big toll on the body. Getting to single digit body fat is simply not natural for most of us. Your body is literally starving for a period of 2-6 months depending on how slowly you diet. Because of that, your brain starts to change your physiology in an attempt to get you to eat more or burn fewer calories. This is primarily done through a change in our hormones. For example, leptin and thyroid hormones are decreased, while ghrelin and cortisol are increased  . 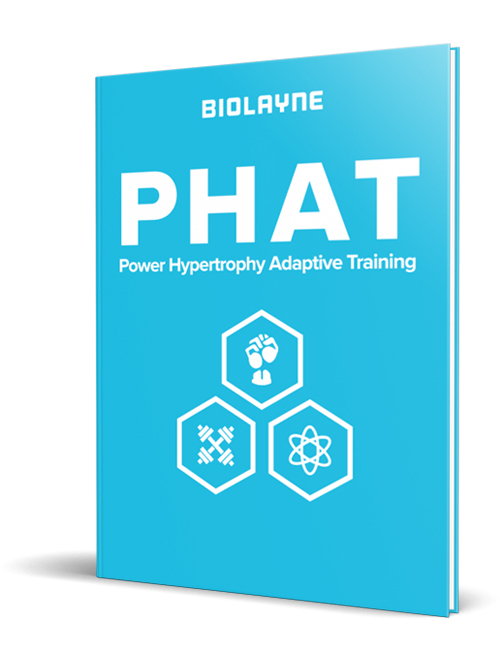 The magnitude of these hormonal changes is related to the length of the dieting phase and inversely related to the level of body fat achieved. In other words, the longer you diet and the leaner you get, the greater the hormonal disruption. This is, of course, not very good for our bodies in the short term. Muscle mass (a precious commodity) is lost, brain function in impaired, bone mineral density is lost, and organ function can become less efficient. Additionally, these extreme dieting phases can impact our lives for years to come. Studies have found long term persistence of hormonal disruption stemming from a bout of significant weight loss  .This means that for some people, hunger signals and nutrient partitioning do not function the way they should for years to come. No studies have been done on the long term health effects of repeated trips to single digit body fat (i.e several contest preps), but the extreme nature makes it safe to assume that certain bodily functions will suffer long term damage. Additionally, the psychological toll that elite conditioning can have can’t be overlooked. People who compete are eager to get absolutely shredded and look their best on stage, but many ignore the fact that this is only a temporary state. You simply can’t maintain that level of conditioning for very long. Upon returning to a normal body composition, disordered thinking can set in. Many will look back at their peak conditioning and become unhappy with their current physique even though they look still good. This is known as social physique anxiety and can be seen all over social media. Lean and well-built individuals who think they are fat even at 10-15% body fat are very common. This can cause them to chronically diet to try and maintain leanness, or even worse, develop an eating disorder which has long lasting effects on overall well-being  . This isn’t to say that you shouldn’t engage in physique sports. If it is something you love to do, then you are likely at a lower risk for some of the more pernicious side effects. However, it is important for you to understand the trade-off between the extreme nature of the sport and the impact on your health. Having a lower level of body fat improves our health for the most part, but getting to those extreme levels of body fat on a regular basis is likely going to have the opposite effect. You may think that performance sports like powerlifting, crossfit, or Olympic weightlifting are immune to the dangers seen in physique sports. However, performance sports pose some of the same threats to our health, in addition to a few others. If you look at professional sports as a template, it is clear to see that elite performers are not necessarily healthy. The immense level of exercise needed to be elite takes its toll on the endocrine system. Despite their conditioning, many athletes suffer from impaired testosterone production, and elevated cortisol levels as a result of HPA axis dysfunction  . When looking at the impact of high performance exercise on disease, we see some interesting patterns. It is well known that a linear relationship between exercise and mortality exists. The more you exercise, the lower your risk becomes for all-cause mortality  . However, many don’t know that graphing this relationship actually reveals a ‘J’ shaped curve rather than a simple straight line. Rather than more exercise leading to lower risk indefinitely, we actually see that high levels of exercise actually begin to increase risk  . This trend is seen for diseases like cardiovascular disease, as well as general immune function. So, the levels of exercise required to be elite may actually be putting you at higher risk for disease. Additionally, the psychological impact of elite performance is not lost on performance athletes. They may not be overly concerned with how they look, but the realization that their best days are behind them can be traumatic. Many athletes identify themselves by how well they are able to perform in their respective sport. Once they are unable to perform at a high level, they are forced to give up competing. Some can make this transition easily, especially those who were paid well and became famous, but athletes in less popular sports can have a hard time finding other opportunities and arenas in which they can thrive. Finally, there is the aspect of injury and bodily harm that comes with high performance. No matter what, you will get injured if you perform at the elite level. Some athletes are lucky and never sustain any major injuries in their careers, but for the majority of elite athletes, a large toll is taken on their bodies. This is well documented in professional sports where torn ligaments and surgery are common, but barbell sport athletes suffer similar fates. Just look at the prevalence of injury in powerlifting for those who compete at a high level. There are a plethora of torn biceps, torn ligaments, and low back strains sustained. Even worse, the constant abuse that your joints take from over exercising often leads to major surgeries later in life. Many retired bodybuilders and powerlifters are forced to go under the knife at a young age to repair or replace ailing knee, hip, and shoulder joints. While it may be true that they were predisposed to needing those surgeries, the activities they engaged in certainly sped up the process. The truth is that performing at an elite level is not all fame and glory. Yes, there are a lot of positives that come with being great at a particular athletic event. However, there are quite a few potential negatives as well. The damage to metabolism and psychological health that can stem from physique sports is significant and should be considered when determining whether competing is right for you. Performance based sports can have very similar impacts on body and mind. However, the greatest impact to health in performance sports comes from the potential for irreversible damage by way of injury. With either endeavor, the potential drawbacks need to be weighed against your desire and joy for the sport. Certainly, the positives can outweigh the negatives for most people, but it is still important to understand and accept that achieving elite performance comes at a cost and doesn’t necessarily ensure you will be healthier in the long run. Trexler ET, Smith-Ryan AE, Norton LE. Metabolic adaptation to weight loss: implications for the athlete. Journal of the International Society of Sports Nutrition. 2014 Dec;11(1):7. Sumithran P, Prendergast LA, Delbridge E, Purcell K, Shulkes A, Kriketos A, Proietto J. Long-term persistence of hormonal adaptations to weight loss. New England Journal of Medicine. 2011 Oct 27;365(17):1597-604. Haase AM, Prapavessis H, Owens RG. Perfectionism, social physique anxiety and disordered eating: A comparison of male and female elite athletes. Psychology of sport and Exercise. 2002 Jul 1;3(3):209-22. Healy ML, Gibney J, Pentecost C, Wheeler MJ, Sonksen PH. Endocrine profiles in 693 elite athletes in the postcompetition setting. Clinical endocrinology. 2014 Aug 1;81(2):294-305. Lee IM, Skerrett PJ. Physical activity and all-cause mortality: what is the dose-response relation?. Medicine & Science in Sports & Exercise. 2001 Jun 1;33(6):S459-71. O’Xeefe JH, Lavie CJ. Exercising for health and longevity vs peak performance: different regimens for different goals. InMayo Clinic Proceedings 2014 Sep 1 (Vol. 89, No. 9, p. 1171). Mayo Foundation for Medical Education and Research.